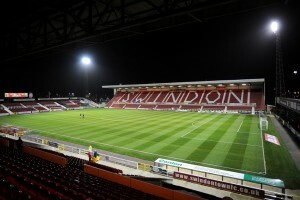 NWYFL are excited to announce an agreement with Swindon Town FC to host the NWYFL League Cup Finals at The County Ground. The initial agreement is for 4 years, with an option to extend on an annual basis, ensuring that the NWYFL League Cup Finals will continue to be held at the County Ground for the foreseeable future. The NWYFL League Cup weekend will continue to be in May, to coincide with the date of the FA Cup Final, avoiding any potential STFC Play Off impact. The League are thankful to Swindon Town FC, and in particular Adam Wainwright and his team, for their assistance in securing this agreement. Playing at the County Ground gives the youth players a fantastic experience, and a day worthy of a Cup Final.